Hey guys! 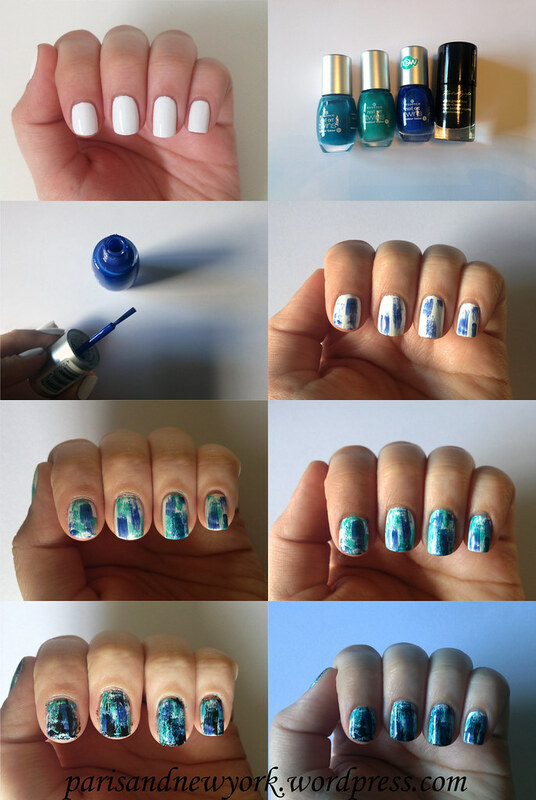 I’m so excited to show you my first nail tutorial. 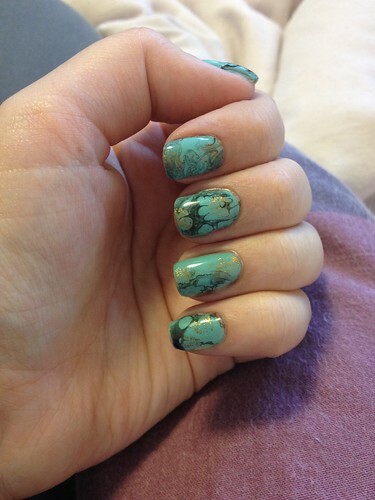 I hope you like it, because I’m in love with my new nails! First start with a base coat and after that I chose to use a white nail polish as the base of my nail art, but you can do it with any color you like. 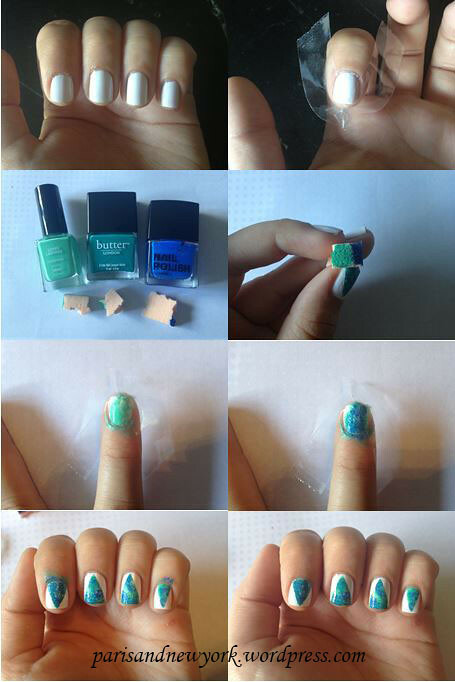 Wait until this is completely dry and then apply tape to your nails. 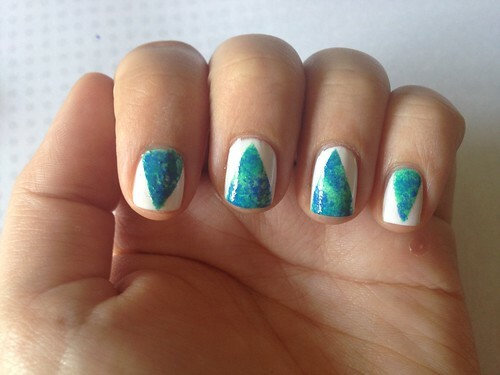 I made triangles on my nails, but you can do other things also. I chose three colors of nail polish that I dapped on my nails with a foundation sponge, you can find this in any drugstore. When you’ve done that you remove the tape and it already looks awesome! 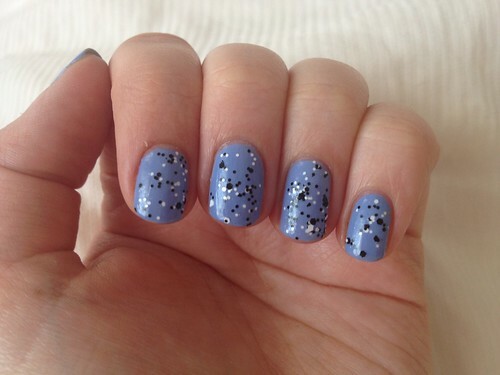 You just have to clean up your cuticle with nail polish remover and add a top coat to seal your new nail art design. I found my inspiration on this amazing blog: polishandpearls.com, I think she has awesome ideas! Hey guys! 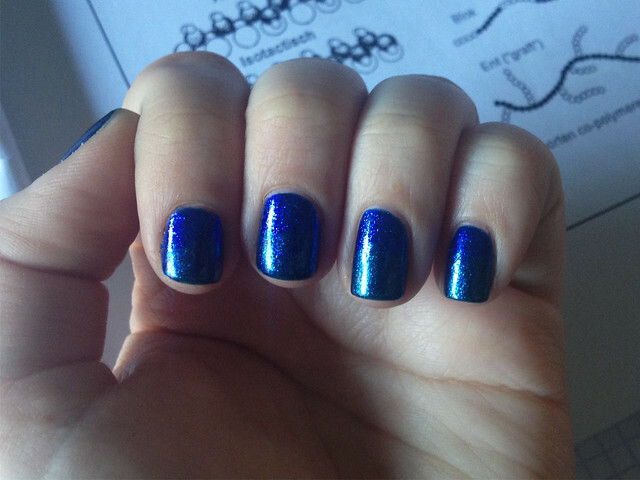 I’ve been searching for this glitter nail polish for like two months and I finally got it! It was sold out everywhere I went. As you know, I’m obsessed with white glitters and glitter nail polish, so I had to have this one. 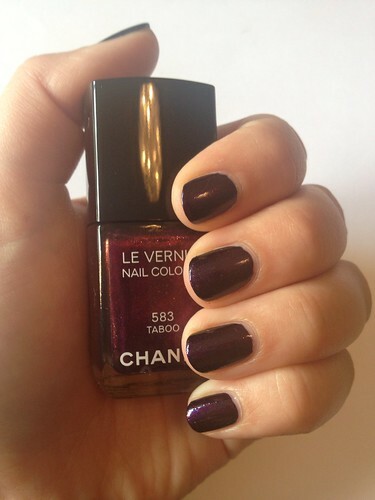 It’s a glitter nail polish from L’Oréal with a clear base color so you can put this on any color you want. It has large and small black and white glitters. 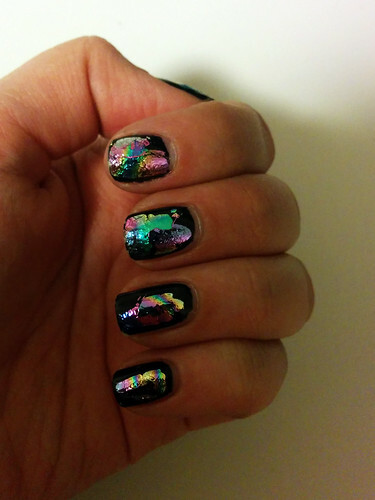 It’s so pretty and fits on almost every nail polish I can think off. I just used one coat of the glitter polish and I love it! 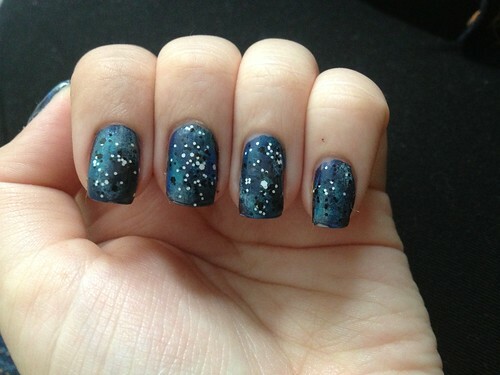 You can apply more coats if you want more glitters, but I like one coat. 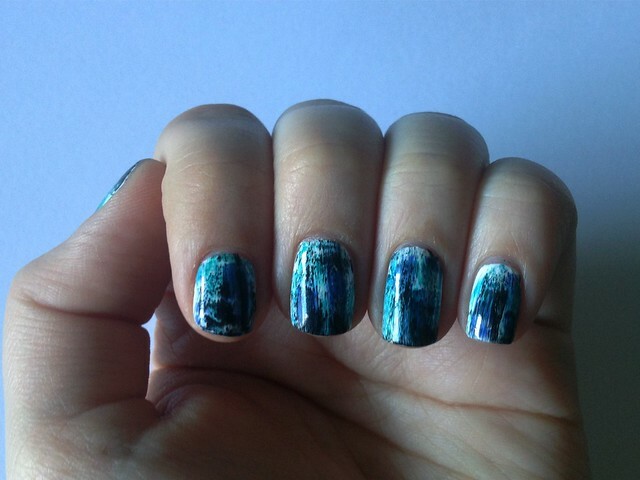 You can also create for example a gradient effect with this polish. I can’t say how happy I am with this one! PS: I’m going to Florida for two weeks and I don’t know I’m going to be able to post anything. Because I only take my phone with me, but I’m going to try and hope it will work!